As eCommerce sales continue to grow at a record pace, brands are looking for ways to improve their online presence. But making the shift to eCommerce involves more than just moving your existing items online. The $3 shampoo bottle that is your best in-store seller may not retain its value when you have to package it and ship it across the country. 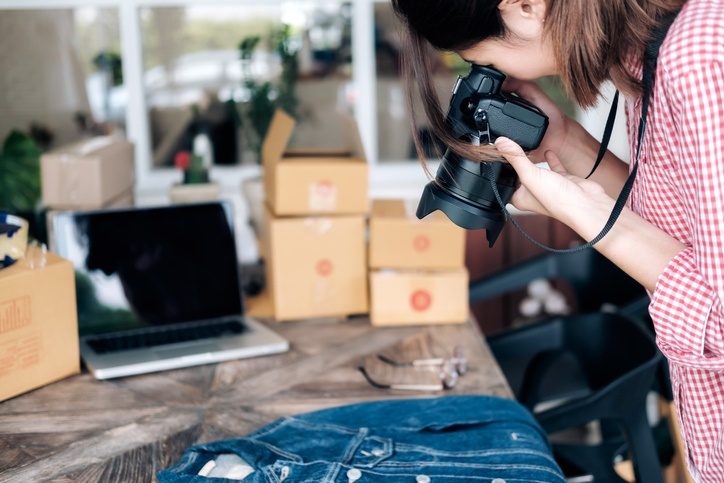 To succeed at eCommerce, you should optimize your portfolio to include items with the right benefits, the right pricing, and the right shipping efficiencies. Use these six tips to optimize your product portfolio for eCommerce and improve your return. If your company offers a range of product categories—each with dozens of SKUs—you may be tempted to put every item in your inventory online at once, both on your DTC site and across marketplaces. Doing so could be a costly mistake. Instead, take a phased approach. Start by launching your highest potential items first, drive traffic to those listings, and conduct A/B testing to optimize your content and marketing efforts. Then, apply the insight you gained from that first push to launch your second wave of items, and so on. If you’re deliberate, strategic, and measured in your approach, you’ll see a greater return on your efforts and be able to scale more effectively. From a profitability standpoint, not every item will be a good fit for eCommerce. To determine which items have the greatest profit potential, add up the logistical costs involved with selling the item (the cost of inbound shipping, storage, and fulfillment) and estimate the associated marketing fees and channel commissions (on eBay, Amazon, Walmart, etc.). For smaller, low-cost items, these overhead costs can add up to a significant proportion of the overall sale. Items below a certain size and price point may also face additional challenges. For instance, on Amazon, small, low-cost items are classified as “add-ons” and come with shipping restrictions for Prime users. Large, slow-moving, and heavy items can also be problematic from a cost standpoint. On the plus side, solution packs can be an effective way to circumvent this issue, drive sales, encourage cross-purchases, and create shipping efficiencies. Selling your shampoo and conditioner together, for example, will likely be more profitable than selling either item alone. Adding a brush to that package can increase your dollar sales, while also differentiating your offering from the sea of competition. As a general rule, variety packs that make it easy to sample a variety of scents, colors, etc., tend to sell better online than single flavors because they represent less risk to a shopper who hasn’t tried the product before. This is especially true of new, unproven items. Along with pricing and packaging, consider the type of shopping experience required to sell each item. It may be tough, for example, to convince online shoppers to buy your newest perfume if they don’t have the opportunity to experience it beforehand. In this regard, the tried-and-true items in your lineup may be less risky online sellers. Liberal return policies can also help mitigate the risks associated with new items in the eyes of the shopper. Finally, remember that each online retail marketplace has its own nuances. What’s profitable on Amazon, for instance, may be different than what works on other online marketplaces such as Walmart.com or eBay or your own website. In addition to profitability, look into which categories and items are most successful on each channel. There’s truth to the saying that there are “riches in niches.” Finding your eCommerce niche is all about understanding the competition and figuring out how to differentiate your brand. The sellers that are most successful are the ones that know how to recognize white space—product categories and segments that have limited competition and untapped market potential. For example, your chocolate protein bar may be your most popular seller in stores, but the well-entrenched competition for this flavor on Walmart’s site may make it a poor performer. In contrast, your strawberry protein bar may have a more limited audience, but it may also have less established eCommerce competition and very high potential interest (a.k.a., more white space). To get a sense of the established competition for each product category, search for keywords that are related to each product in your portfolio and examine the results. For instance, if your search for “chocolate protein bar” brings up pages of relevant results with high review counts and a number of advertised products, chances are it’s going to be difficult (and expensive) to rank for those keywords and gain market share. Along with looking at search results, examine platform-specific SEO data. The items with the greatest search volume and the highest pay-per-click (PPC) price tag represent the categories with the most competition. You can get a more specific read on keyword popularity and competition with tools like Helium 10 (for Amazon). Using the tool, you’ll be able to estimate monthly searches and the number of brands competing for category terms, flavors, and other attributes (i.e., “gluten free protein bar”). Pricing competition between retailers, which has always been a challenge for brands seeking to preserve their value, has reached unprecedented levels. Retailer bots scrape each other’s sites to spot price declines and automatically adjust in kind. What should a smart brand do? Differentiate! Finding unique items for each retailer prevents channel conflict. Rather than launching the same item on your website, Amazon, and Walmart.com, consider either hard differentiation (specialized flavors, benefits, and value adds) or soft differentiation (bundle packs or unique sizes) tailored to each shopper’s preferences. Although you may incur some cost, doing so could help you better satisfy your shopper, help each retailer succeed, prevent headaches for you, and (most importantly) give you better ability to protect pricing and profit..
Rather than allocate your marketing budget out evenly across your entire portfolio (“peanut buttering”), focus your spending on the products with a right to win (i.e., products that meet the criteria for success in that specific environment). For example, an $8 checkers set might have a right to win at Dollar General because of the attractive price point and limited assortment, but that same game wouldn’t have the right to win on Walmart.com, where competition is much higher and the cost of marketing would eat up your profit. In addition to determining the best-fit products for each channel, look closely at what marketing efforts are driving sales in each specific channel and product category. Are some products and categories more responsive to marketing than others? Consider competitive activity. On Amazon and Google, it’s relatively easy to see what marketing and merchandising tools your competitors are using. Search for category-specific keywords and brands names to see what shopping ads, sponsored brands, sponsored products, and other targeted ads appear. Ultimately, if you determine that the item isn't worth marketing, maybe it shouldn't be listed in the channel at all. You'll get very little benefit from distribution that no one sees. Better to drive productivity behind the strongest items! If you’re just starting out in your eCommerce efforts, targeting too many retailers at once can create significant overhead and compound any errors. It’s much easier to learn the ropes one retailer at a time. Start with your priority retailers, optimize your proposition, and then expand to Tier 2, Tier 3, and below based on proven success. Where you choose to play will help define where to focus from an item standpoint. Remember that the best marketing in the world won’t make up for critical mistakes in your assortment. Choose your items wisely! For more insider tips on how to create and execute a successful Amazon eCommerce strategy, download our latest e-book below.